Metabolic diseases: These issues are inherited and interfere with the function of the liver. Wilson's disease interferes with the body’s ability to process copper, while hemochromatosis prevents the body from processing iron properly. Some metabolic diseases can be cured with a transplant and others will eventually damage a transplanted liver with the same disease process that damaged their liver originally. A liver transplant is a very serious surgery, but the journey to an organ transplant is often a difficult one emotionally and physically. Waiting for an organ to become available can be difficult, especially as most people become sicker with each passing day. 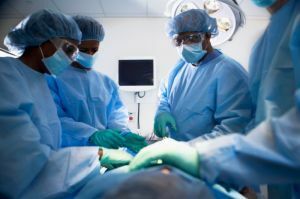 It is a double-edged sword—one must be sick enough to be high enough on the waiting list to receive an organ, but not so sick that they cannot tolerate the physical stress of surgery. This can make the process more challenging than a more typical surgery, but the rewards of receiving a healthy liver are enormous. The Progression of Liver Disease. American Liver Foundation. What Happens Before, During, and After Arthroplasty? Is an Eye Transplant Possible?